Hybrid Camera Revolution: September 2nd 2014 only - Tascam DR-60D on sale for $149 at B&H! 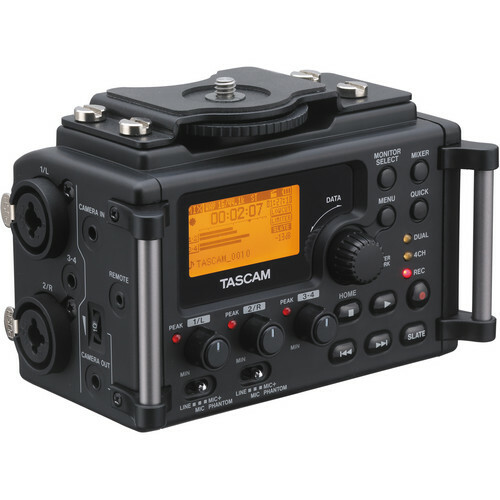 September 2nd 2014 only - Tascam DR-60D on sale for $149 at B&H! Although they're not a sponsor, B&H is a fabulous brick & mortar and online store with the world's best (sorry, Amazon) selection of pro and amateur photo and video gear. I shop there often - and I recommend that my readers buy there too, on the rare occasions when their prices are lower than from my affiliated sponsors. Today is one of those occasions. I'm posting this at 4pm Pacific Time on September 2nd, so there are only a few hours left - but if you've been looking for a good price on a new recorder with a decent preamp and the world's best form-factor for DSL cameras, you should pull the trigger on this deal right now. I just did! If there's a B&H display ad to the right, please click on it and navigate to the "Tascam DR-60D". If not, please click here. It won't cost you anything extra, and it will help keep these blog posts coming. Thanks for your support! Sony PXW-X70 4K-ready camcorder shipping now!